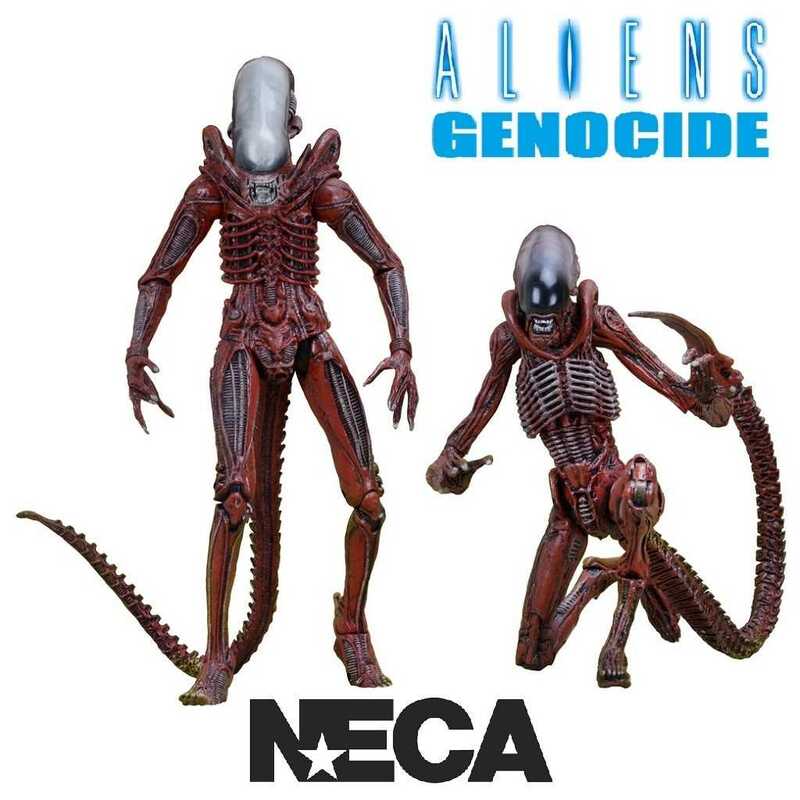 NECA introduces this special edition concept action figures 2-pack that includes the “Big Chap” Xenomorph and Dog figures. 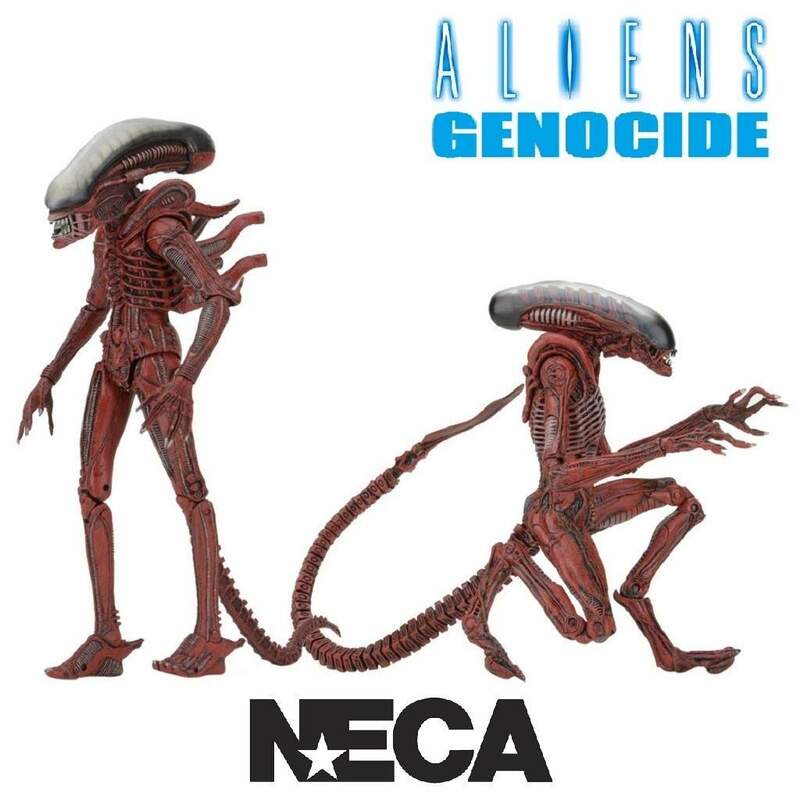 NECA introduces their first concept figures based on the classic Dark Horse Genocide comic book mini-series from the early 1990s! 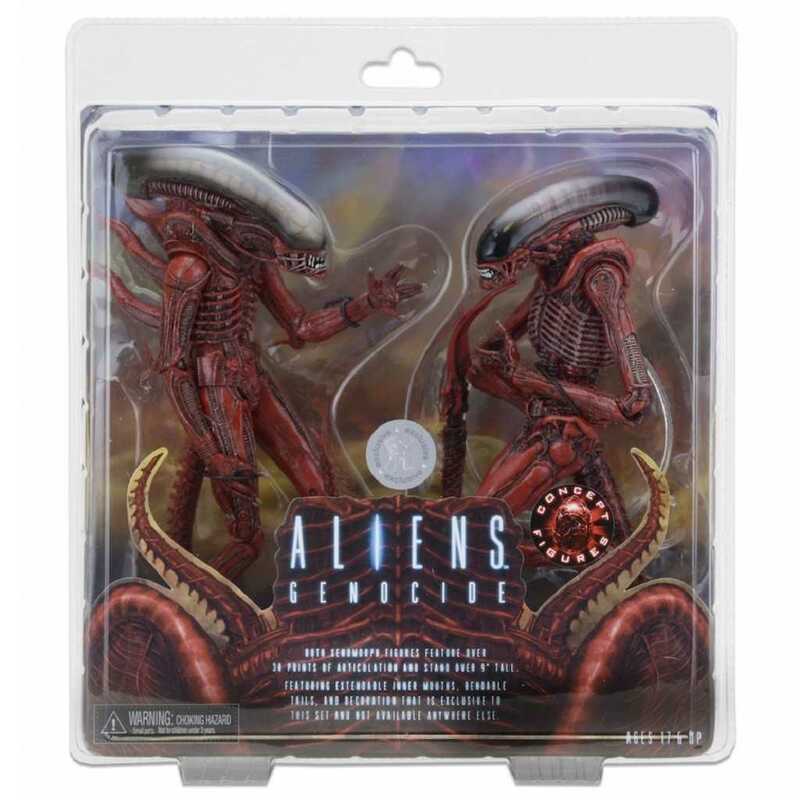 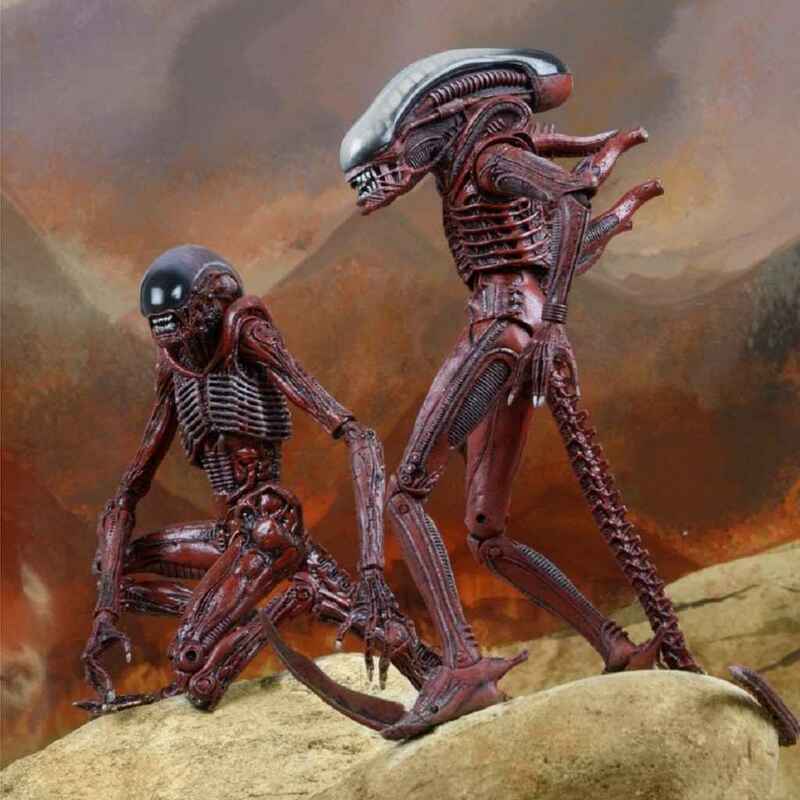 This special edition action figure 2-pack includes the “Big Chap” Xenomorph and Dog figures painted with an all-new color scheme that hypothesizes their inclusion in the massive civil war that divided the Xenomorph home world. 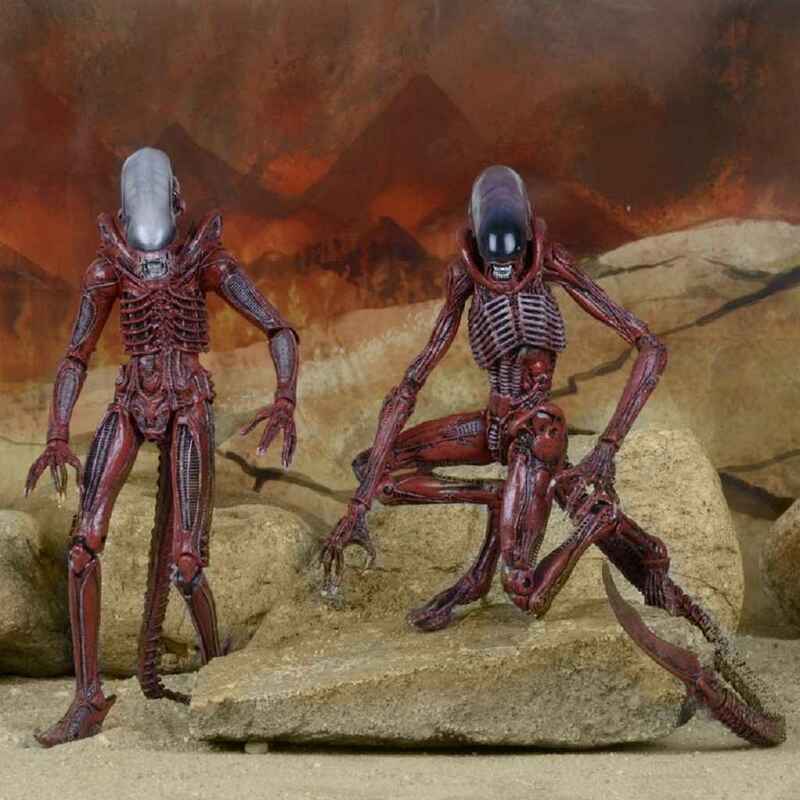 Both figures stand over 9" tall and feature over 30 points of articulation and include extendable inner mouths, bendable tails and decoration that is exclusive to this set and were not previously available anywhere else.